In January 2015, The University of Iowa received the 2015 Community Engagement Classification from the Carnegie Foundation for the Advancement of Teaching. 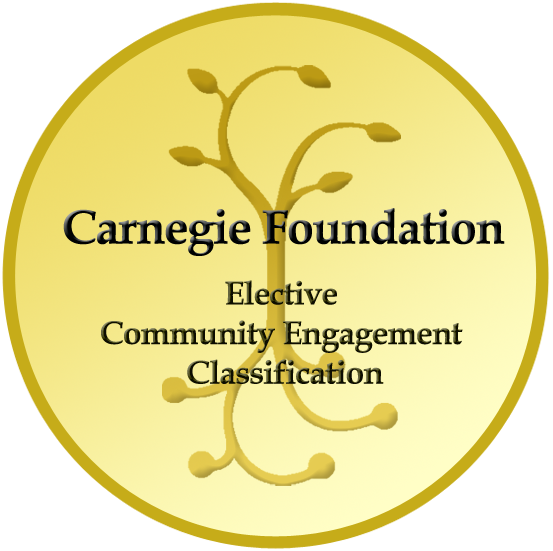 The Carnegie Community Engagement Classification, awarded every five years, is the highest standard of recognition for community engagement efforts at institutions of higher education. Colleges and universities apply for the classification by submitting extensive documentation that describes the nature and extent of their engagement activities and demonstrates strong institutional commitment to community engagement. Professor Colin Gordon of the Department of History in the College of Liberal Arts and Sciences took on responsibility for preparing the application. When Professor Linda Snetselaar took on the new role of Associate Provost for Outreach and Engagement in spring 2013, she joined the leadership of this effort. Many faculty and staff across campus worked in collaboration with Professor Gordon and Associate Provost Snetselaar to prepare an application that accurately reflected the extraordinary range of work already being done by our faculty, staff, and students, as well as our commitment to greater emphasis on community engagement as a strategic priority for the university. Learn more about the university's decision to pursue the classification.